Custom imprint our charts with your logo, brand message and information to drive incredible results. Choose from hundreds of subject titles that best speaks to your audience to better promote your product or service. As a promotional give-away, incentive or gift with purchase. As a sales aid or leave behind that effectively promotes your business for years. As a digitally download to reward customer for actions on your social media or website. A Permacharts reference guide is not only useful, but it will outperform other media and has an excellent shelf-life. People keep our charts for over 7 years! 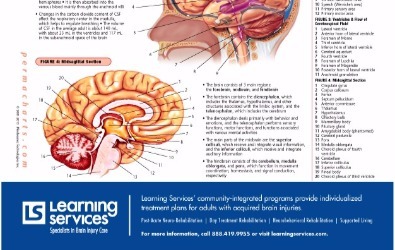 Brain Chart used by traumatic brain injury rehabilitation clinics. 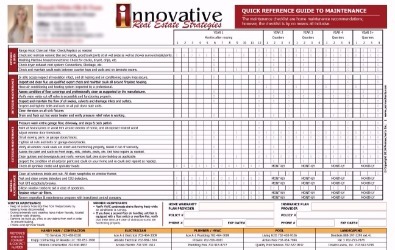 Home Maintenance Schedule chart in poster-size for real estate agents. 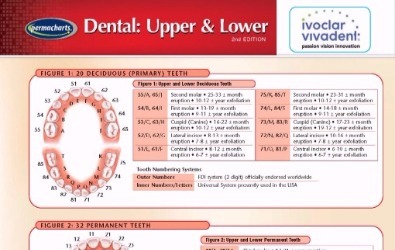 Dental Chart used by dental products distributors as a sales aid. 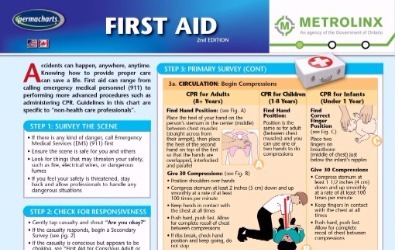 First Aid Chart used as a training aid for employees and job safety managers. Take advantage of this incredible offer and receive 20 custom imprinted, laminated charts. LETS GO: Click below to contact us. We will call to discuss your objectives and get to work on your design for approval. * Offer is available to first-time customers only.
" I've given out hundreds of thousands of dollars worth of promotional product over my 26 year business career. Nothing comes close to the power and potential of custom imprinted Permacharts for making an impact with my customers.